Vitra’s Star Clock from 1955 is one of the over 150 clocks that George Nelson’s office designed for the American clock manufacturer Howard Miller between the years 1948–1960. Nelson’s mission was to add more modern design to ordinary American homes, and he succeeded in a brilliant way. The beautiful Star Clock clock is a piece of art that will catch the eye anywhere. 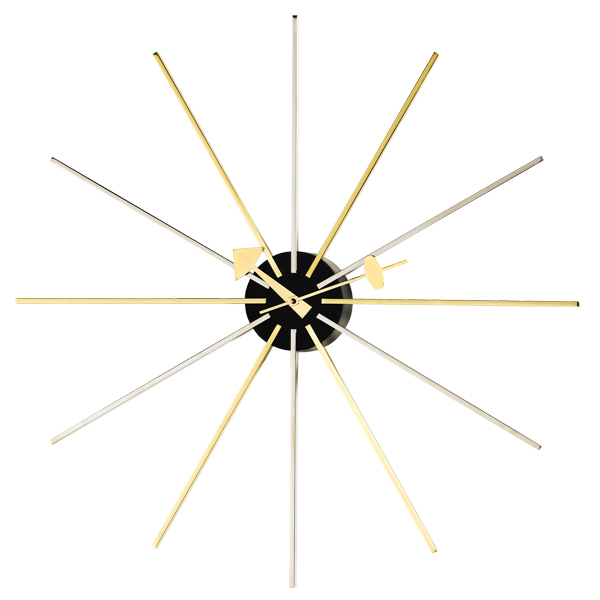 The clock is made of brass and equipped with high-quality quartz movements and a rechargeable AA battery.